Jon Bernstein is an award-winning journalist, editor and digital strategist. 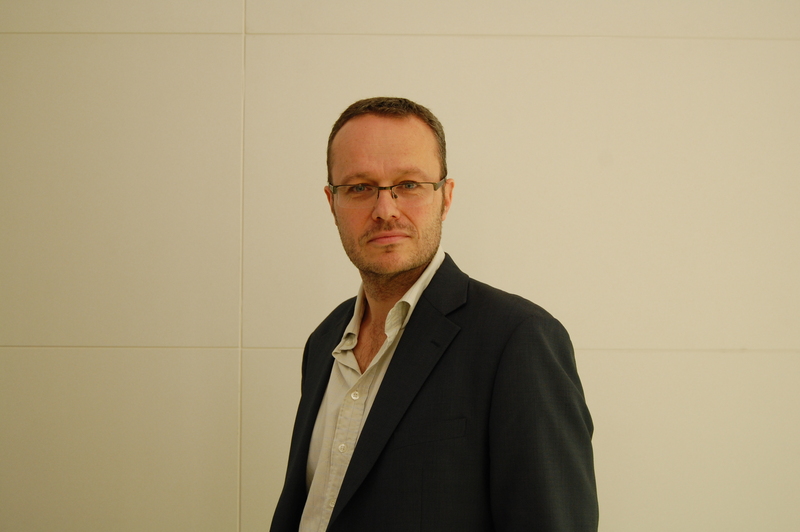 He was deputy editor, then digital director at the New Statesman; multimedia editor at Channel 4 News; ran the Channel 4 FactCheck website during the 2005 general election; and was editor-in-chief of Directgov, working in the Cabinet Office’s eGovernment Unit. He began his career in journalism as a technology writer, working as a reporter for PC Week and news editor of Network News before moving on to become a founding member and editor-in-chief of business and technology website Silicon.com. There he led editorial launches in London, Munich and Paris. In 2011 he was named Website Editor of the Year by the British Society of Magazine Editors for Newstatesman.com. He writes for Press Gazette and the Guardian Media Network. He joined us from London to discuss the role of the digital strategist in journalism. You can hear our conversation in iTunes, Stitcher or Soundcloud or below now. Jon is a digital strategist who thinks about how to adapt journalism from the old world of print and broadcast to the new world of digital. To do that he sees that ‘those lessons you learn as a journalist are applicable to the new world of digital’, examples of which are content marketing and communications roles. He believes that some of the skills needed for success in the digital age are those they always needed in the role, namely to ‘read widely, read well, read good journalism whether it’s the New Yorker or it’s the FT or a brilliantly crafted tabloid and learn to deliver lean and concise and effective copy; learn to edit, learn to commission, that’s the old stuff…combine it with a new set of skills. As a digital journalist you need to learn how to open a spreadsheet and understand the data…data journalism and digital journalism go hand in hand…familiarize yourself with the new tools of the trade, for example how to put audio together’. The increasing importance of data is challenging to journalists since it is not second nature to many of them. That said, they need to understand it since according to Jon ‘the Internet has crystallized how and why to use data’. To highlight the point that data journalism is not a new thing, he points to his experience managing the Channel 4 News FactCheck site during the 2005 UK general election. That experience showed that you had to look at the data to validate or refute claims by politicians. As Jon says, ‘data gets to the heart of a truth, and if journalism is about the truth, then data is really important’. The use of technology and data should be more widespread among journalists now that both have advanced and become very easy to use. In Jon’s experience many journalists are not aware of how easy it is to use, and for that he runs workshops around social media in the UK during which he helps people get over their fear of the technology in order to focus on how to apply it. Looking at the old media publications that have made the leap online successfully, what is clear is that what made them successful is that they ‘understood that it was digital first’. Examples of this are The Guardian, which went digital first as a single entity and the Mail Online which began with separate offline and online entities, of which the Mail Online was still digital first. While the idea of digital first is natural in 2015, it was not always the case, ‘5 years ago it was counterintuitive’. Jon gives the example of when he worked in a broadcast newsroom a few years ago and had endless discussions on when to break a line of a story, for example, could it be saved for the 7pm bulletin? But this led to the challenge of ‘if you know it’s going to be out in the public domain, why wouldn’t you put that out in the public domain earlier’? A few short years ago this was a very difficult conversation for journalists to have. A key consideration that Jon highlights in planning how to write content for the web is the fact that people consume media differently online with a different set of expectations, or as he puts it, ‘the medium impacts consumption habits’. He gives the example of mobile, in particular with the launch of the iPhone, which ‘made the Internet day longer in terms of when people were consuming stuff…If you are a smart publisher you are aware of those trends…if people are consuming our content later in the evening, then how do we adapt to that? What we deliver, how we deliver, how we resource our staff, how we push this stuff out onto our website but equally through social media’. The impact of these changes and the need to build on the core skills of journalism are why he runs his workshop for writing for the web, in which he highlights the fact that ‘writing for the web is exactly the same as writing for print…and completely different’. The skills change over time as technology continues to disrupt the industry and assumptions are debunked. An example of this is the belief in the early days of the Internet that the journalist now has infinite space to write. As Jon says, ‘just because you have infinite space does not mean the reader has infinite time…in fact they have less time than ever before’. In this environment, Jon sees the role of the digital strategist as being the one ‘to experiment, to admit when they’re wrong, to try things out, to encourage and cajole and not to be in a position where they are always a champion or apologist for digital’. This is important since while ‘digital transformation has been positive, some of the things it’s done have been less benign. We have fewer journalists than we did before because the tools of production are a fraction of the cost they were 20 years ago…the means of distribution is a fraction of the cost and has democratized publishing in a way, which is a good thing, but in terms of how you fund this thing, it’s problematic. Journalism faces a real challenge…we had a workable if imperfect model for years in print publishing, and it was an ad supported model – disrupted by the Internet’. Maybe it’s the role of the strategist to help solve this challenge.